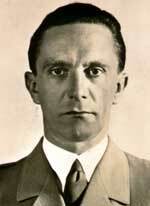 Goebbels 1942 diary, an incriminating entry . 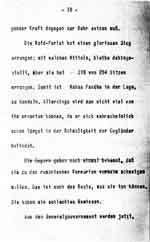 . .
Goebbels diary, Mar 27, 1942, pages 19-22 (Bundesarchiv file NL.118/42). 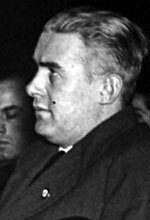 The passage was extensively wrangled over in the Lipstadt trial in 2000, on Days 4, 6, 24, 32 and especially Day 23. 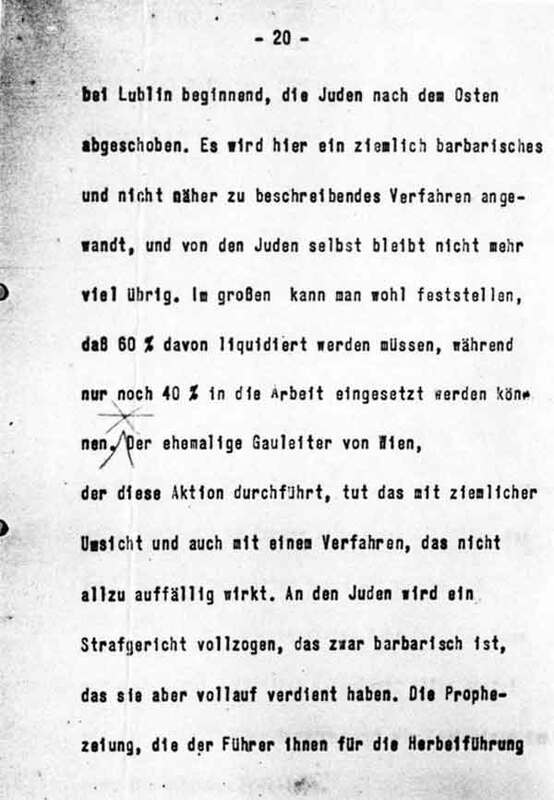 There is no doubt as to these pages' authenticity: the originals are in the Hoover archives' Goebbels collection at Stanford University; the microfilm of them (now NA film T84, roll 261) was made in New York in 1947; and David Irving also checked the microfiche copy made by the Nazis in 1944, in the Moscow archives where the microfiches have languished since 1945. 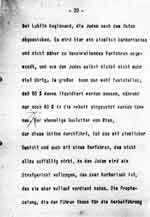 Note that on line 8 Goebbels' stenographer Dr Richard Otte leaves a blank space for the name Odilo Globocnik, far right, for which he presumably intended to confirm the spelling. 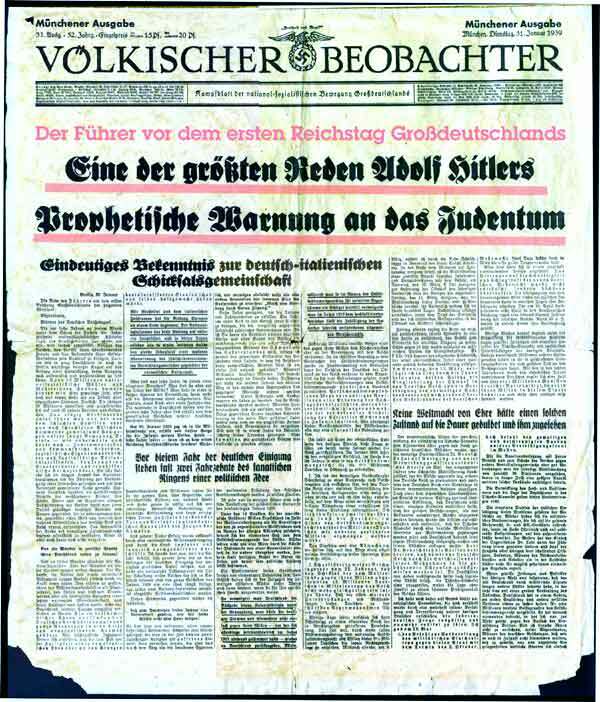 Völkischer Beobachter, Jan 31, 1939, reeports Hitler's "prophetic warning" to Jewry. 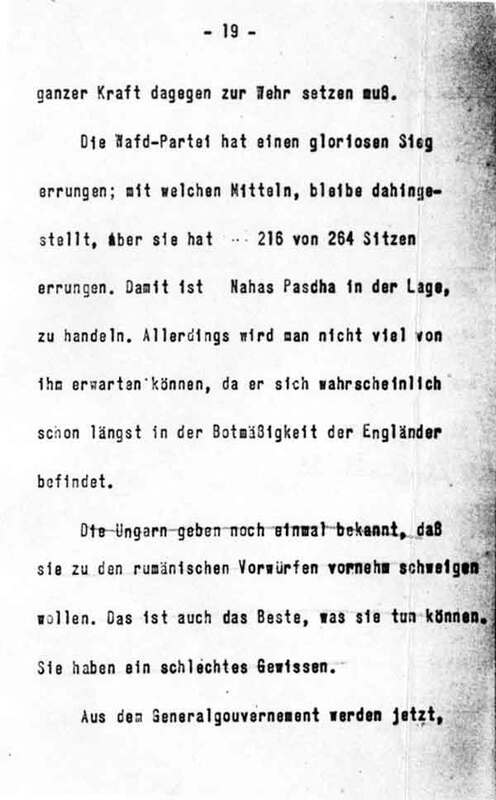 Note: From the all-important sentence referring explicitly to "liquidated", conformist translators like Prof Richard ("Skunky") Evans like to leave out the word wohl (line 5) which means "perhaps" or "probably", no doubt because it tends to bring out that Goebbels is speculating, and does not know for certain.